THE ROTARY CLUB OF MOBILE directed its focus on disabled children during the 1920’s, inspired by the severe epidemics of poliomyelitis which left many children severely crippled for life. The Club partnered with the Mobile Infirmary, first sponsoring beds, then an orthopedic ward with 25 beds. This relationship continued until the Mobile Infirmary moved to its current Louiselle Street location in the 1950’s. The Mobile Infirmary, then, gave sufficient land on Pleasant Avenue next to the hospital site to the Rotary Children’s Foundation (RCF) for the construction of a comprehensive rehabilitation facility. The Rotary Children’s Foundation built a 60,000 square foot facility on Pleasant Avenue, including a 34 bed inpatient wing and a therapeutic pool, with funds raised locally and regionally by the Mobile Rotary Club, Hill-Burton matching funds, and Alabama Society for Crippled Children and Adults. 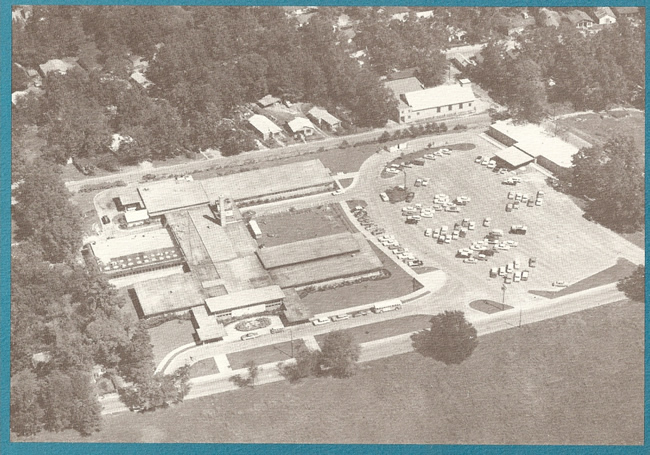 This facility opened in February of 1958 and was leased to the Mobile Rehabilitation Association (MRA) which operated the facility in partnership with the Alabama Vocational Rehabilitation Service, the Alabama Crippled Childrens Service and the Alabama Society for Crippled Children and Adults. This continued until 1976 when the RCF and The MRA boards felt that the Mobile Infirmary could better serve the region; consequently, title to the land and buildings was transferred to the Mobile Infirmary who subsequently moved the operation to the Louiselle Street campus and is now the J L Bedsole/Rotary Rehabilitation Hospital. During the period when the RCF owned the Pleasant Avenue location (1958-1976), it accumulated about $30,000 cash from Club member donations to fund maintenance of the Pleasant Avenue buildings. Also, the RCF was named as the beneficiary in several substantial estates which is the source of today’s trust fund in excess of $1,000,000.. In 1981, The RCF by-laws were amended to provide for a rotating board of 12 members appointed by the Board of Directors of the Rotary Club of Mobile and they continue to be the governing body of the RCF, determining the investment policy, the distribution criteria and the distributions.